When we’re new to living plastic-free or zero waste, just looking at the journey ahead of us can seem a little… daunting. On one hand, we’re eager to make changes, and excited to be making a positive impact on ourselves and the planet. But what first steps to take? There are so many options it can almost feel overwhelming. If you’re feeling like that, don’t panic! I’m here to help. 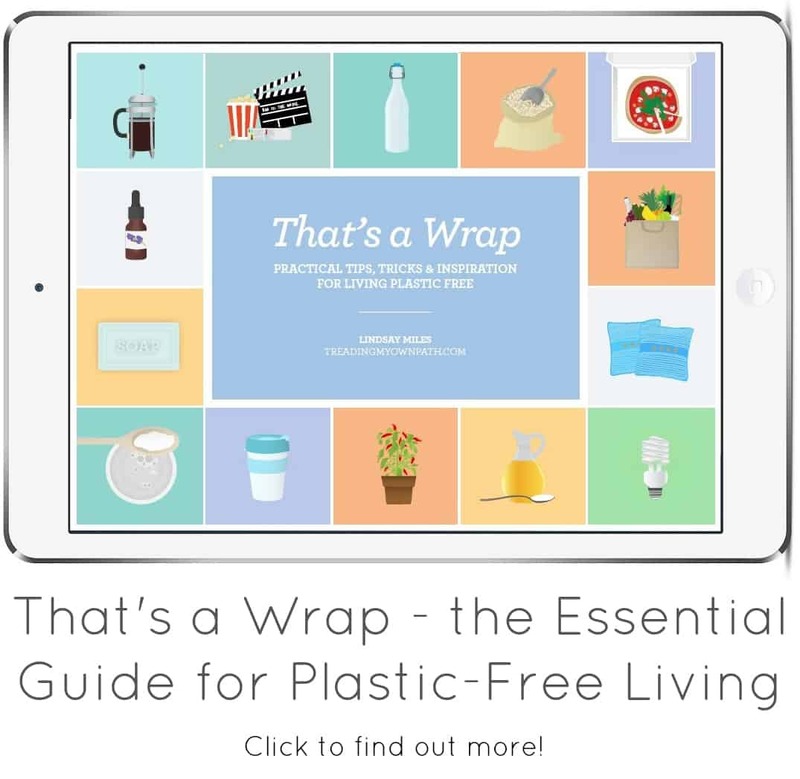 If you’re keen to get going with plastic-free or zero waste living but don’t know where to start, here’s a handy guide to help you on your way. 1. Don’t throw anything away! Before you begin, don’t just throw all your plastic in the bin, or dump it at the charity shop. Whilst it can be tempting to “begin again with a clean slate”, it creates a huge amount of waste. If your main motivation for embracing plastic-free living and zero waste is to reduce waste, this is completely counter-productive. In time you’ll be able to decide whether you can re-purpose things, pass them on to someone who will use them, or use them up yourself. You’ll learn the best way to dispose of things responsibly. You’ll also know whether you need to replace them. Plastic-free and zero waste living is a journey, not a race. 2. Remember change takes time, and the more time you spend on it, the faster you’ll see results. Going plastic-free or zero waste is about changing habits, and change takes time. Like any habit, if you practice every day you’ll get there faster. The more you practice, the easier it will get. 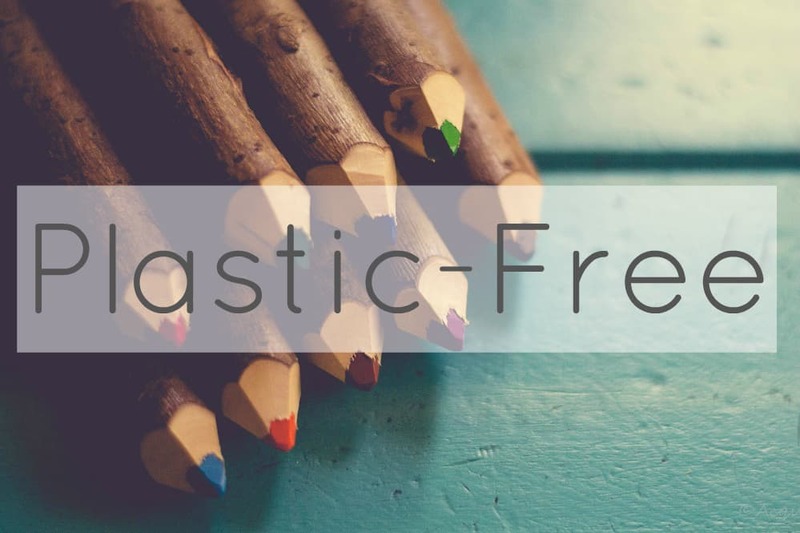 Yes, you can go plastic-free or zero waste and work full time, have children and pursue other hobbies. You will just make slower progress. Take into account how much time to have to spend learning new habits, and set yourself realistic goals. If your expectations exceed what’s likely or practical for you to achieve, you’ll end up disappointed and disheartened. 3. Go to your regular stores with new eyes. 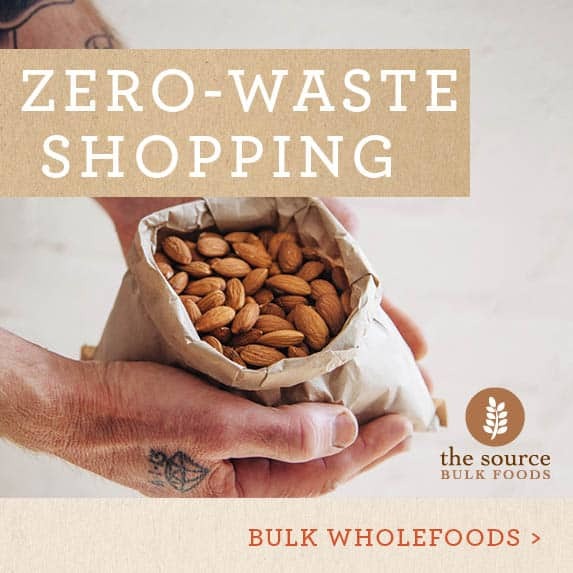 Bulk stores (especially those that have been established with waste-free and plastic-free living in mind like The Source Bulk Foods) are an ideal place to buy packaging-free groceries, but in the beginning, don’t rule out your regular stores completely. Instead, take a little extra time, and go to your regular stores and walk up and down every aisle, looking at every single product. Look for products in glass, cardboard, or paper. When we shop, we often operate on autopilot. We don’t browse the overwhelming choice of products. We tend to buy the one we always buy, or we choose what’s on offer. Now is your chance to look with a different parameter – plastic-free. You might find there are more alternatives than you realised. 4. Get your reusables ready. 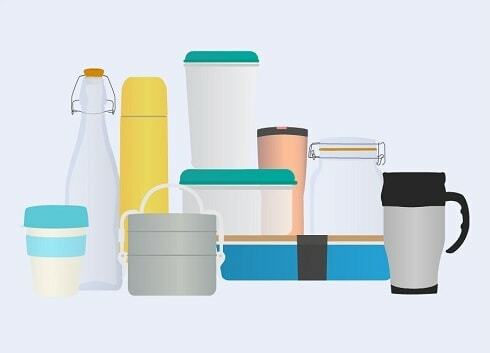 When you first go zero waste or plastic-free grocery shopping, take more reusables than you think you’ll need. As well as reusable shopping bags, take reusable produce bags, glass jars, and glass or plastic containers with lids of various sizes. Almost everyone has reusable shopping bags; if you don’t, I recommend looking for natural fibres rather than plastic ones that will eventually end up in landfill. There are many options for reusable bags, and if you sew you can make your own out of old net curtains or bed sheets. If you can’t sew, handmade reusable produce bags can be found via Etsy, an online marketplace for people who do know how to sew. If you don’t have glass Pyrex or stainless steel food containers, consider using plastic in the short term until you know which sizes work best for you. Glass and stainless steel is an investment, so knowing what you need is helpful before you splash out. 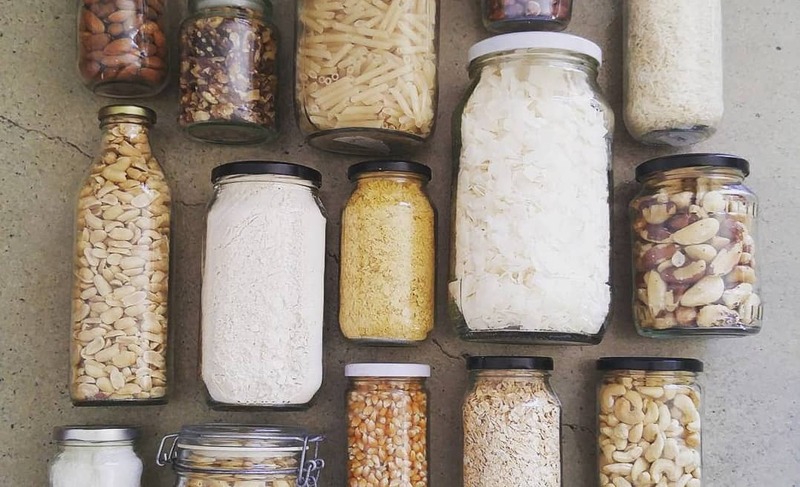 If you’re ready to invest, this directory of online zero waste and plastic-free stores might be helpful. 5. Look for bulk stores, Farmers Markets and health stores in your local area. Before you step out the door, it makes sense to look on the internet. Are there any bulk stores close by? Are there any cooperatives that might have food in bulk? What about bakeries or farm shops? Italian grocery stores often have dry goods in bulk, and well-stocked deli counters. Check when local Farmers Markets run, and where. You can call places to find out if they have a bulk section, but nothing beats going to have a look. Even if bulk isn’t an option, there might be plastic-free and lower waste solutions. Just having a browse can open your mind to some of the potential. 6. One change at a time. Rather than change everything at once, focus on one thing at a time. It makes sense to tackle things in the order they need replacing. 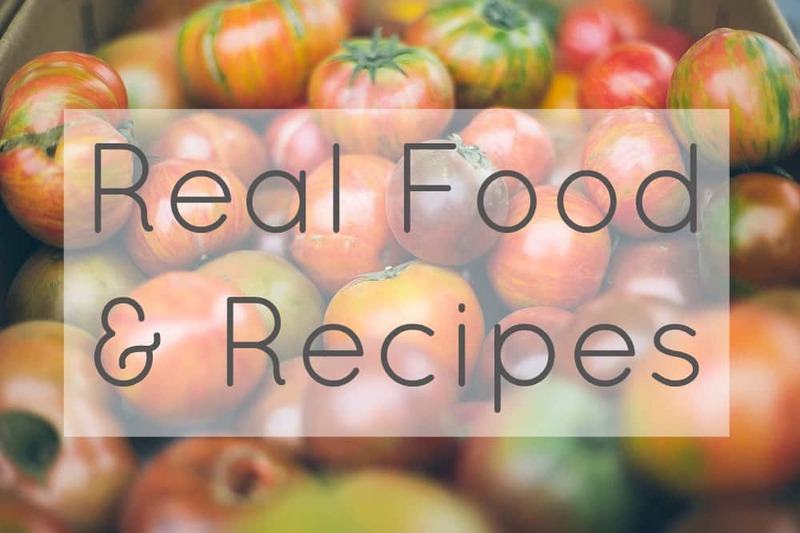 With food, fresh produce comes first, like fruit and vegetables, milk, and bread. Then there’s longer life fresh stuff like yoghurt and cheese. Then there’s dry goods, and it might be a few months before you need alternatives for some of these. The same will apply in the bathroom, the cleaning cupboard, the wardrobe and the rest of the house. Work on replacing things as you need to. Zero waste and plastic-free living is a movement, and a movement needs people! You will find it so much easier and far more rewarding if you connect with others on the journey. You’ll be able to share ideas, vent frustrations, ask questions and guide others. Not everyone has the support of family and friends, at least not at first. Finding a community of like-minded people will give you a strong support network to keep you motivated. If you can find people locally to connect with, that’s awesome (if you don’t know where to look, the Transition Town movement is a good starting point). If not, there is plenty of opportunity online – and these groups will welcome you with open arms! Remember, no-one has all the answers on the first day! Plastic-free and zero waste living is a journey. Enjoy the process, have fun, and know that everything you’re doing makes a difference. Now I’d love to hear from you! 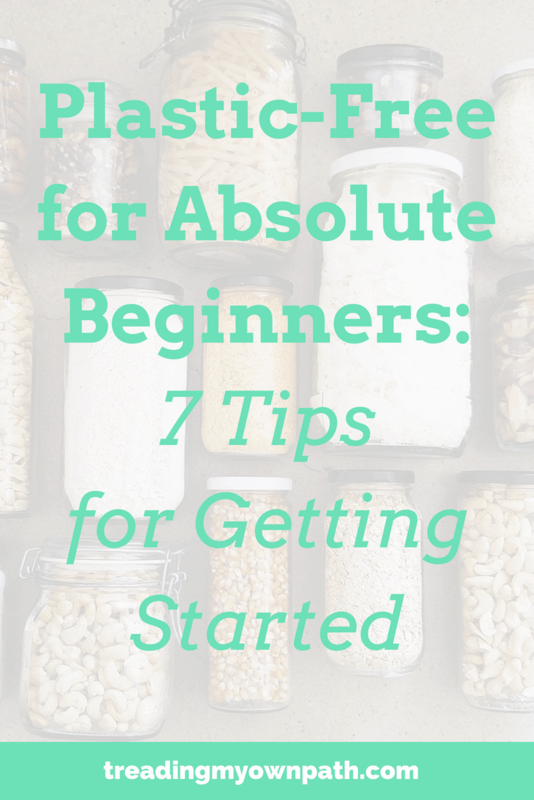 If you’re a beginner, is there anywhere in particular that you’re stuck? Anything you’ve been struggling with? If you’re a veteran, are there any other tips you’d like to add? Anything you think I’ve missed out? Any other comments? Please share your thoughts below! Great tips. Definitely one thing at a time. Focus on your little wins rather than things you forget, things yet to possibly change or comaring yourself to others. Every bit makes a difference. Find what works for you, one step at a time. Focus on the wins and be inspired and supported by the community. Good luck with all of it. So have you found that you can use your own containers at deli counters? Where??! Here is a blast from my plastic free past. Wrapping food waste in newspaper is something we used to do when I was a kid in the 60s. In summer we kept water cool In a canvas bag, with a plastic tube which we unclipped and tilted downwards to fill our glasses with cool water. It saved energy as the fridge remained shut when we wanted a cold drink. We got milk bottles delivered and recycled them. Cool drink came in glass bottles too, but it was a treat we had for birthdays or Xmas, about five times a year. The bubbles hurt our young mouths as we really were not used to it. We used string bags to shop with, paper bags and waxed lunch wrap for our lunches. Flour sugar rice sago and tea were kept on a shelf above the stove in decorated tins of ever decreasing size. We used a thermos to take on a picnic to make coffee or tea with and sugar was kept in a small glass jar. We drank tea black and weak and used condensed milk from a tube in our coffee. It’s nice to know some people want to get away from plastic and live plastic free. Well put, Jane. I too have similar childhood memories. Picnics were with a metal set of plates and cups. Glass milk bottles were left out for the milkie to exchange for full ones. The glass soft drink bottles were either exchanged for full ones if delivered, or taken to the local deli for deposit refund. Plastic has indeed infiltrated our lives, and until you sit back and take note, you don’t even realize how much. 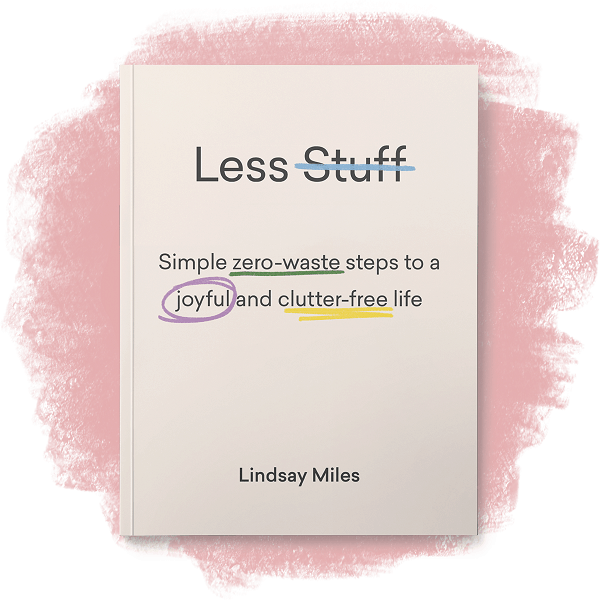 And thank you Lindsay for another helpful blog post. Ah, I loved this Jane. I would have loved to have been able to have these conversations with my grandparents about the things they used to do. Actually, I should have this conversation with my parents. I’m sure they have some memories! I think underlying recognition with the plastic-free movement is that this “convenience” isn’t so convenient after all, and that some (many? most?!) of the old ideas were in fact better – for our health, for the environment, and for our sanity! I’m doing a 30 day ramp up to plastic-free July and this came at a perfect time! Thank you. Lyn. Woolworths used to sell Delsey toilet paper. An individual roll, wrapped in paper. Either Coles or woolies have had recycled toilet paper in brown paper. Who Gives a Crap (Google them) supply loo rolls by the box, delivered to your door. Unfortunately, it’s made in China and shipped here. Which I don’t agree with. However, 48 rolls I think in a carton. Half of the cost goes to charity. 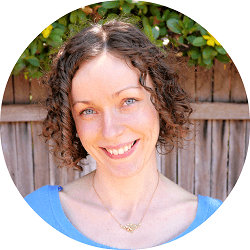 Hi Lyn, thank you for taking the time to comment :) Glad to hear you’ve been finding my blog helpful. Yes, that is the thing with plastic – once you start seeing it, you realise it’s everywhere! I’m not sure if you’re in Australia, but if you are, you could buy Who Gives a Crap toilet paper. It comes in a cardboard box and is delivered directly. We put in a big community order and people pick up from us – it costs less, it saves a truck driving all over town, and people can split boxes between themselves. I think they are now in the US too. Hope that helps?! Thanks so much Kate. Will try them. My Coles does not have it. I have been getting my bulk meat in glass containers for years now. Ask your Butcher to help they are more than happy. Although don’t go to them at their busiest time, it takes a while to do. I don’t get my bread in plastic anymore, but we need to address the dreaded PLASTIC WATER BOTTLE AND DISPOSABLE CUP problem. 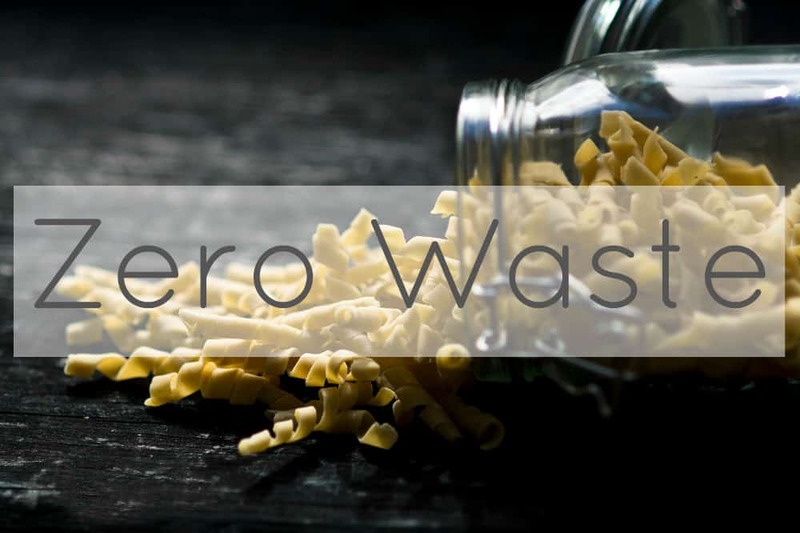 I found your instagram a few weeks ago and became inspired to learn more about the zero waste movement. I’ve been reading a lot about it and am excited to move towards it! It will be a process though. Luckily my fiance is on board and excited to do it too. I’ve been having a good time figuring out alternatives for what we currently use and changes we can make in how we shop. We live on an island and I thought it might be hard to find everything we need but after we took a close look at all the options of our grocery store, and the little health food store attached to the coffee roastery I was really impressed! We also have two good bakeries for bread. The only thing missing is a non plastic wrapped cheese option. We are on a small income and things are expensive on the island, but I goal is to go for Plastic Free July. One place I am struggling is in sewing and crafting. 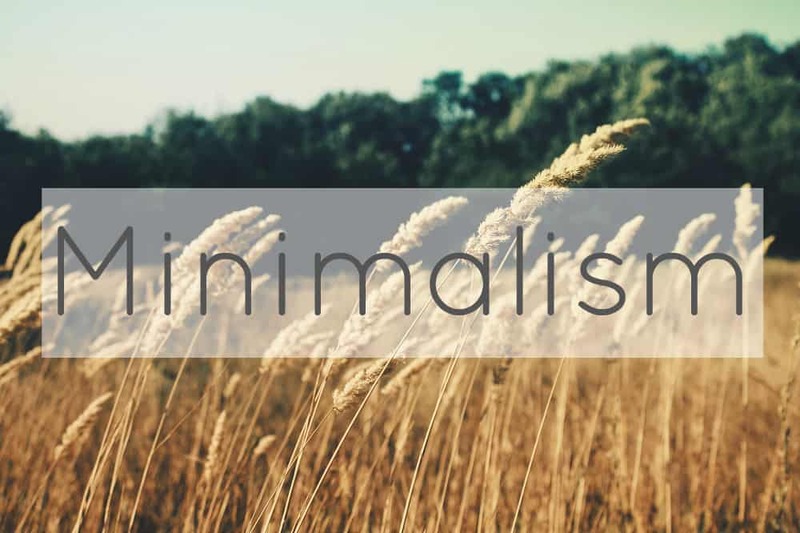 I also want to become more minimalist and it has been giving me a lot to think about in my crafting life.